The Nevin Shapiro scandal broke a year ago. Will Miami ever be punished? It’s coming, but that’s one of the more confusing things about the NCAA. Whether it’s UNC or USC or they hand down a fast decision as they did with Penn State and Ohio State, it’s just hard to predict. There is a lot of evidence in the Miami case, especially if you’ve seen the Yahoo! report. 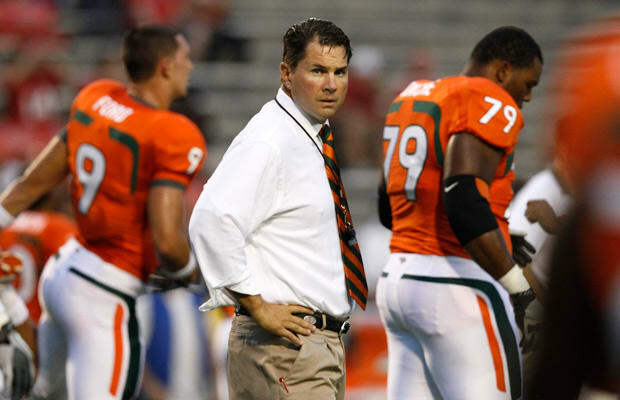 It would really help [head coach] Al Golden if they could get a punishment and move on, because it’s holding the program hostage. High school recruits are hesitant to sign with Miami because they don’t know what sort of punishment is coming. You wish things would work faster for the sake of program, because this whole thing is not Golden’s fault.